Euro continues growing up; yesterday the pair reached a new maximum. It looks like the price may reach the level of 78.6% during the day. If later the pair rebounds from this level, the price will start, at least, a correction. 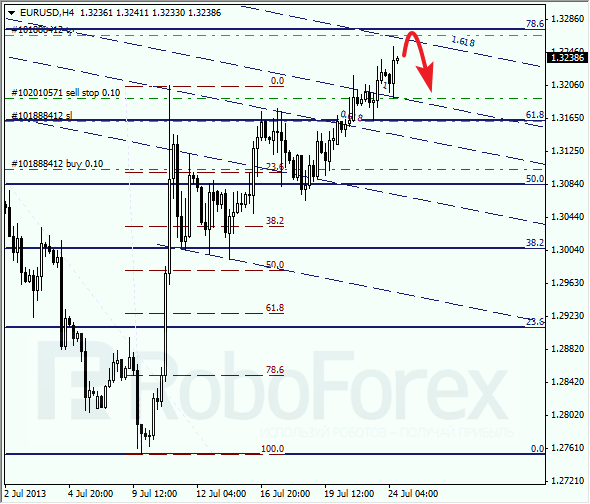 At the H1 chart we can see, that the price slowed down a little bit before making a final ascending movement. 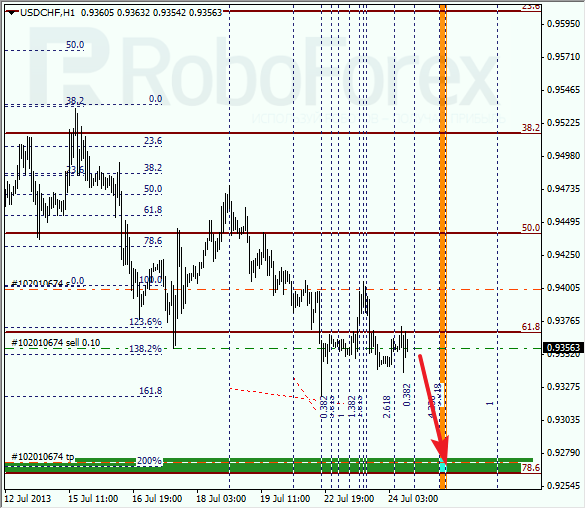 According to the analysis of the temporary fibo-zones, the predicted levels may be reached during the day. I placed a limit sell order near a local minimum. The market is trying to keep the price below the level of 61.8%. Most likely, in the nearest future Franc will break a local minimum. The main target is still at the level of 78.6%, which is right below several other fibo-levels. At the H1 chart, the pair is being corrected, and I decided to open a sell order. Yesterday, while the price was moving upwards, my profitable stop worked. According to the analysis of the temporary fibo-zones, the target levels may be reached quite soon.